Young, impressionable Anakin Skywalker’s feelings are molded by Palpatine’s words, particularly those that speak of Anakin’s greatness and the Council’s foolishness. 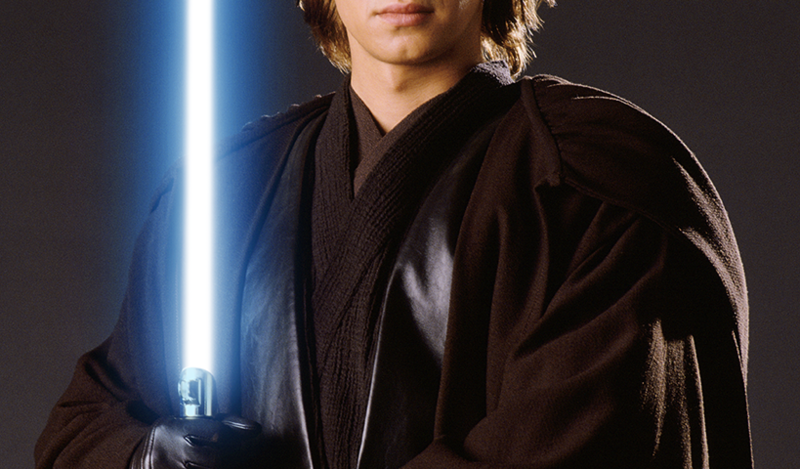 Anakin would be around his 20s in the time of The Clone Wars, and while he does have a vast amount of life experience, he also has seen a great amount of success, which can only stroke one’s natural youthful ego. Palpatine plays directly into this attitude. One place in particular speaks of the greater whole. During the time when Obi-Wan Kenobi fakes his death so as to disguise himself as Rako Hardeen, Anakin knows not of the deception, therefore when he finds out that Obi-Wan, who is a mix of father and brother to him, is alive, he feels betrayed. This is encouraged even more so when the Chancellor motivates him to embrace his anger by saying “Perhaps they (the Jedi Council) don’t trust you” and that his feelings “are what make him special.” Palpatine is playing into what Anakin already believes and establishing himself as someone who is trustworthy and wise so that when Anakin is at his most vulnerable the viper may strike. Anakin’s anger is brewing years and years as The Clone Wars continue, and as the ugliness of war rears its ugly head, the missions get harder and more hostile. One mission in particular brings Anakin, already an impressionable mix of youth, anger, hero, and warrior, into a confrontation with his past. Zygerian slavers attack the Togruta people, from whom Ahsoka comes, in an attempt to rebuild their slave empire in association with the Separatists. Anakin, Obi-Wan, and Ahsoka are in the middle of the whole thing. Take a moment and consider what must be going through Anakin’s mind and heart. The people of one he cares deeply for are being attacked. Strike one. The attackers are “slaver scum” as he calls them, opening the wounds of losing his mother, losing Qui-Gon Jinn, and not being able to fulfill his promise to his mother of freeing all the slaves on Tatooine. Strike two. Capturing his companions and forcing them into slavery. Strike three. Bad news bears for Anakin Skywalker. On Zygeria, though ultimately victorious, we begin to see a very angry and hospitable Anakin. He is not afraid to kill. He uses the Force choke for one of the first times. He is told that, as a Jedi, he is virtually a slave of the Republic at this point. Those he loves, save for Padme, are trapped in slavery. It is not a good time to be Anakin Skywalker, and it is doubtful that in the time between this happening and his bowing before Darth Sidious he has forgotten Zygeria. Furthermore, the events on Zygeria play into the grand story of the mistrust Anakin has for the Council, and the perceived mistrust they have for him. Without a doubt the Jedi are not in a good place right now (re: Dark Disciple) as they are slowly but surely being pushed aside by the dark side of the Force. Also, they see Anakin as someone they cannot control, which makes them extremely uncomfortable as they have come to embrace a hierarchical existence as generals of war rather than keepers of peace. To Anakin the Council is a conundrum too. In part he believes that they are not willing to go far enough to win the war (seen in his conversations with Tarkin during their rescue at The Citadel), yet they are willing to lie to him about Obi-Wan’s death in the Hardeen situation. In part they are, as the queen of Zygeria claims, slaves to the Republic. Along with that, there is the foul disposition some members of the council, such as one Mace Windu, have for Anakin. Palpatine, as has been previously discussed, adds salt to these wounds. Thus, when Episode III rolls around, Anakin’s wariness with the Jedi Council has reached a new peak, and when it comes down to choosing between the Jedi, represented by Mace Windu, and the Sith, represented by Palpatine, Anakin (understandably) chooses the man who not only always “trusted” and “loved” him but can, supposedly, save his family, which the Jedi were supposed to be but never were. Truly I believe many of us would have done the same thing. Anakin Skywalker is, as he should be, one of the most disputed characters in all of cinema. He is an enigma, but still touches upon many of the struggles we face as we move through life. Regardless of one’s opinion of the character or those who portrayed him, the reality is that he is us and we are him in one sense or another. The question, then, is not if we will fall, but will we be redeemed? More work by Mr. Boylan can be found at https://fanboyfistpump.wordpress.com/ and @DarthBoylan on Twitter.